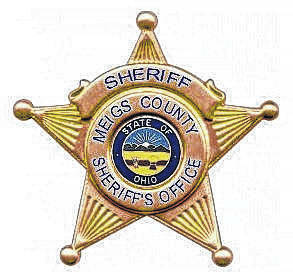 REEDSVILLE — Deputies, along with the assistance of the Ohio Department of Natural Resources officer and K-9, recovered and returned several items reportedly stolen in the Reedsville area. Sheriff Keith Wood reported that on Thursday, Oct. 4, Deputies Sizemore and Leggett were dispatched to Second Street in Reedsville in reference to a bow being stolen during the nighttime hours that was inside a vehicle. Upon their arrival on scene, it was determined that a track of the suspects could possibly lead to the suspects or possibly the stolen items. A request was made for Officer Chris Gilkey and K9-Mattis from the Ohio Department of Natural Resources to be dispatched to Reedsville in an attempt to do an area search. Officer Gilkey and his partner, K9-Mattis, performed their search for the track and during the search, some evidence was located in and around a tree. The evidence was reportedly from a victim of another theft that had happened about the same time. Deputies Sizemore and Leggett spoke to that victim, who was unaware of the theft, and returned her items. Deputies received two more complaints from residents who stated their cars were also broken into. Deputies took statements and attempted to get video footage from the Olive Township Fire Department. One more victim came forward and reported to the deputies that her car had also been broken into, but nothing was stolen. Deputies then collected all the evidence and finished taking statements for the reports. Deputies Sizemore and Leggett spoke with School Resource Officer Deputy Barnhart, who performed interviews of two students who had been identified as possible suspects. During the interviews, Deputy Barnhart was able to obtain two confessions from the two suspects. Deputy Barnhart also obtained some of the stolen items that were reported stolen from some of the victims and those items were returned to the owners. Sheriff Wood would like to thank Ohio Department of Natural Resources Officer Chris Gilkey and K9-Mattis for their assistance in working to solve this case within a short period of time. The investigation is still ongoing at this time.